Fort William & Oban Property Sales, Guest Houses, B&B, Plot, Land | MacPhee Solicitors & Estate Agents - FINALISTS ANNOUNCED FOR SCOTT + CO SCOTTISH LEGAL AWARDS 2016, AND MACPHEE & PARTNERS ARE ONE OF THEM! 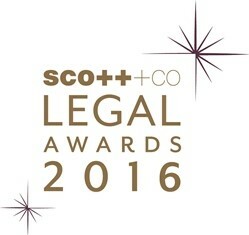 FINALISTS ANNOUNCED FOR SCOTT + CO SCOTTISH LEGAL AWARDS 2016, AND MACPHEE & PARTNERS ARE ONE OF THEM! MacPhee & Partners are Short-listed as Employer of the Year. 35 firms have been revealed as finalists in the Scott + Co Scottish Legal Awards 2016, the prestigious awards programme celebrated by the Scottish legal profession. 59 entries made the short-list in a year which attracted a consistently high number of firms, in the awards 13 year history. The decisions on the winners have been agreed by a 12-strong judging panel chaired for the first time by Shonaig Macpherson. The winners will be announced at a black tie awards dinner on Thursday 24 March 2016 at the Assembly Rooms in George Street, Edinburgh.